That’s enough! I’ve had it…I’m out of here! A 102-year-old will become Britain’s oldest emigrant this weekend when he leaves to start a new life with his wife in New Zealand. Eric and Doris King-Turner, 87, will start their “wonderful new adventure” on Saturday when they set off on a cruise liner from Southampton. 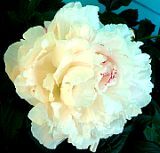 January 4, 2008 Posted by oldstersview | People	| Comments Off on That’s enough! I’ve had it…I’m out of here! Bulletin for computer consultants: That light? It’s a train. A Global Positioning System can tell a driver a lot of things — but apparently not when a train is coming. A computer consultant driving a rental car drove onto train tracks Wednesday using the instructions his GPS unit gave him. A train was barreling toward him, but he escaped in time and no one was injured. The car was pushed more than 100 feet during the fiery crash. January 4, 2008 Posted by oldstersview | Dumb Stuff	| Comments Off on Bulletin for computer consultants: That light? It’s a train. Scientists trekking across a little visited part of Antarctica have discovered a bizarre relic of the Soviet Union is dominating the South Pole of Inaccessibility. 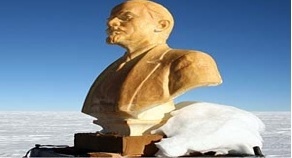 In the middle of no-where – literally the point on Antarctica furthest from the sea – an imposing bust of revolutionary Bolshevik Vladimir Lenin peers out onto the polar emptiness.